Lisa is a recognized educator with over fifteen years of experience delivering professional development and implementation support to educators. Most notably, she is known for effective leadership and teacher coaching in the areas of standards, assessment, data-driven decision making, and professional learning communities. Lisa was national director of professional learning at the Leadership and Learning Center. She is a former distinguished professional development associate, school and district administrator, and teacher. Lisa is a contributing author to several publications, including Navigating Assessment and Collaboration With the Common Core State Standards; Standards and Assessment: The Core of Quality Instruction; Interactive Viewing Guide; Data Teams in Action; and Ahead of the Curve: The Power of Assessment to Transform Teaching and Learning. Leslie A Birdon is a National Board certified educator with over 25 years of experience. She is currently working in Ouachita Parish at Riser Middle School as a department head, district science teacher leader, LDC mentor, and state science teacher advisor. Her range of experience has included both rural and urban settings working with at risk student populations in Texas and Louisiana. Ms. Birdon feels that all children are entitled to college and career opportunities such as exposure to advanced coursework. Thus, she has presented over twenty times on various topics such as scientific inquiry, literacy, RTI, effective data analysis, professional learning communities, instructional coaching and mentoring as well as school improvement at local, regional, and national conferences/professional development workshops. In various roles, she has served as Adjunct Professor, New Teacher Project Seminar Leader, Gifted Education Coordinator, STEM Curriculum Designer, Region 10 Mentor Teacher, National Board Certification Candidate Provider, TAP Master Teacher, District/School Administrator, and Advanced Placement Vertical Team Lead Teacher. Throughout her career, Ms. Birdon often surpasses district and state norm scores on standardized exams in Dallas, Texas. Researching better instructional techniques, her testing scores reflected improvement by reaching 64% proficiency in 1996. In the following years, her students continued to show improvements increasing to 82% in 1997 and 90% in 1998 resulting in the highest for Dallas Public Schools. In her role as a mentor teacher and STEM Curriculum Director in Irving from 1999 to 2002, the 8th grade students were 80 to 91% proficient on the TAKS state exam as well as the second highest state proficiency in biology. Moving back to Louisiana in 2004, she taught biology where her students took a state exam showing a 40% increase in proficiency. In her current capacity as a mentor teacher, her classes moved from 23% to 63% proficiency in meeting their benchmark goal for a district developed test in 2014. As a result, her students continue to improve with 80% in 2015 and 92% in 2016. While working in dual roles as an Associate Principal and Curriculum Director, two schools showed an increase 6 to 10 SPS point gain as well as another rated the second highest improvement rate for grades 3-8 in 2009 and 2010 within Louisiana Recovery District. Managing a 1.5 million dollar literacy grant for East Feliciana Parish as Curriculum Coordinator and TAP Master Teacher, the district was rated 2nd highest in literacy growth for Louisiana for two years. Within this same timeframe, Ms. Birdon and school team were awarded by Louisiana Department of Education for implementing a top preforming Teacher Advancement Program at the school level. Her peer-reviewed publications involve research on constructivism and its effects on curriculum design and instructional practices. She has recently submitted to a national blog on connecting literacy to science for Aligned- Achieve the Core called Welding Literacy into Scientific Instruction. Dr. Brandon Doubek is a founding partner of Creative Leadership Solutions who is a nationally and internationally recognized presenter. He has provided creative and purposeful solutions to state departments of education, superintendents, principals, curriculum directors, the CCSSO, and teacher leaders in over 100 urban, suburban, and rural school districts in the US, Canada, and Central America. His passion for authentic school improvement is evidenced through robust presentations that are concrete, practical, and humorous. As a presenter and facilitator, Dr. Doubek has been a keynote speaker and workshop provider while his work in counties, districts, and classrooms has ranged from senior cabinet leadership advisement to classroom instruction modeling. He has also been a speaker at many national and international conferences, including ASCD, Learning Forward, Great to Greater, 90 90 90, and the International Conference on the Arts and Humanities. His research articles appear in the International Reading Association’s journal, New Directions in Reading Research and the International Journal of Mentoring and Coaching, as well as a chapter contributions on Standards and Assessment in Data Teams Overview: The Big Picture and Contexts of Standards and Assessment in Standards and Assessment: The Core of Quality Instruction. Brandon was the director of evaluation for the National Urban Alliance in New York for three years in addition to his role as a literacy and thinking skills consultant in 10 school districts in the United States for over six years, and he has been a professor of education at two universities. His knowledge of quantitative (statistical) and qualitative research methods in education led to 12 documents that evaluated existing achievement gaps in districts across the U.S. as diagnostic measures for future school action plans. With this information, Dr. Doubek helped to initiate projects in many districts at their inception. Dr. Doubek was also a trainer of new consultants, specializing in K-12 education and transformational leadership during summer institutes. Brandon performed multiple linear regressions and factor analyses for Dr. Douglas B. Reeves on Planning, Implementing, and Monitoring data which resulted in the text Finding Your Leadership Focus: What Matters Most for Student Success. Tony Flach is an educational consultant with almost two decades of experience helping school systems lead change to improve outcomes for students. Tony believes that a quality education is the cornerstone for social equity and is passionate about supporting practices to improve student achievement. The use of data at all levels drives successful implementation and Tony has worked with districts across the country to launch initiatives and create systems to monitor and refine those actions in real time. He has experienced firsthand the difference that effective teachers, schools, and systems make in a community and believes that every school can and should be a place that he would want his children to attend. Tony was a Distinguished Professional Development Associate at the Leadership and Learning Center, a premier services organization, for more than a decade prior to the acquisition of the Center by Houghton Mifflin Harcourt. He was a lead consultant in several multi-year partnerships including a state department of education, large urban and suburban districts, and collaborations between philanthropic education foundations and school systems. He specialized in making data actionable for district leadership, building administrators, and classroom teachers. Tony delivered more than 1,000 professional development engagements ranging from keynotes to coaching sessions on wide range of topics including district level planning and monitoring, formative assessment practices, and analyses of the impact of initiatives on student achievement. During this time, he contributed to the creation of and improvements to multiple professional development courses. Tony served as Senior Coordinator for Data Support in Norfolk Public Schools, a Broad Prize-winning school system, before joining the Leadership and Learning Center. In this role, he supported district-wide improvement processes through enhanced collaboration, use of data to drive action, and improved decision making at building and central office levels. Tony worked closely with colleagues in the research and assessment office and information technology to build system-wide assessment literacy and create award-winning databases and templates to turn data into action. He also worked as a Title I Math Specialist, a school-based professional development role, and as an elementary classroom teacher. Dr. David Gleason is a clinical psychologist who provides counseling and consulting services, as well as neuropsychological assessments, within public, independent, and international schools. Dr. Gleason served as Administrative Director of Student Support Services at St. Paul's School in New Hampshire before opening his own practice in Concord, Massachusetts in 2000. At that time, Dr. Gleason joined Concord Academy as that school's Consulting Psychologist. In addition, Dr. Gleason serves as Senior Neuropsychologist at Wediko Children's Services in Boston, where he supervises pre and post-doctoral neuropsychology interns and he co-teaches a professional development seminar. Finally, Dr. Gleason has taught psychology at the secondary, undergraduate and graduate levels, and he presents workshops and seminars at schools, national conferences in the United States, and at international conferences around the world. Dr. Gleason's new book, At What Cost? Defending Adolescent Development in Fiercely Competitive Schools, is scheduled for release in January, 2017. Kim Marshall was sixth-grade teacher, central office curriculum director, and elementary principal in the Boston Public Schools for 32 years. Since 2002, Kim has provided one-on-one coaching for principals, often in New York City in affiliation with New Leaders (www.newleaders.org), a non-profit that recruits, trains, and supports urban principals. In addition, Kim consults, speaks, and teaches courses for school leaders, with a special focus on teacher supervision and evaluation, time management, the effective use of student assessments, and curriculum unit design. Kim also writes The Marshall Memo, a weekly summary of helpful articles for principals, teachers, superintendents, and other educators (www.marshallmemo.com). Kim is the author of a number of articles and books, including Rethinking Teacher Supervision and Evaluation (Jossey-Bass, 2013). Dr. McNulty brings 30 years of experience as a nationally recognized educator in leadership development. He has served in a variety of positions at both the district and state levels. His work and writing have been featured in books, scholarly journals, and periodicals worldwide. An author of more than 40 publications, his most recent publication is Leaders Make It Happen! An Administrator's Guide to Data Teams. He coauthored School Leadership That Works: From Research to Results with Robert J. Marzano and Timothy Waters. In addition to being a leading authority on leadership development, Dr. McNulty's extensive experience in working with schools and districts, his knowledge of the research on school and district effectiveness, and his ability to translate this research into practical applications have created opportunities for him to work as a keynote speaker and long-term partner with school districts, state education agencies, and other educational service agencies. Dr. Linda O'Konek has been a consultant with Creative Leadership Solutions since 2015. Dr. O'Konek served as the National Practice Manager for Houghton Mifflin Harcourt; a Senior Professional Development Associate with the Leadership and Learning Center and was an Instruction and Leadership coach with the International Center for Leadership in Education. Linda retired from Norfolk Public Schools in Norfolk, Virginia, the 2005 Broad Prize winner. Her public school assignments included Executive Director of Education Accountability, Executive Director of Elementary Schools, and Grant Manager of an $8 million School Improvement Grant. She has taught undergraduate and graduate courses at several universities in curriculum, leadership and supervision. Linda has presented at numerous conferences on the district, state, and national level. Linda has vast experience working with teachers, principals, central office administrators, and School Boards of public, charter, and parochial schools throughout the United States, Bermuda, and the US Virgin Islands. She provides dynamic professional development in the areas of Organizational Leadership Development, The Principal Leadership Academy, The District Leadership Academy, Leaders Developing Leaders seminars, Data Driven Decision Making, Data Teams, Data Teams for Leaders, Accountability Planning and System Development, Power Strategies for Effective Teaching, Writing to Learn, Response to Intervention, Leadership Coaching and Development, Principal and Leaders Evaluation Frameworks, and Common Core. She developed several of the Leaders Developing Leaders seminars, and is a contributing author of The Principal Leadership Academy and The District Leadership Academy. Jo is former principal and senior professional development associate who now delivers professional development services to schools and districts throughout the United States. She is a highly experienced leadership coach and has coached educational leaders at every level, from district administrators and principals to teacher leaders and instructional coaches. Jo also has experience supervising and mentoring elementary, middle, and high school principals. Her work with principals and instructional coaches has helped bring alignment of professional development and quality instruction to schools with a diverse student population. Her areas of expertise include standards, formative assessment, Performance Assessments, curriculum and assessment design. Jo is a contributing author to REAL-TIME Decisions, Educators Using FORMATIVE ASSESSMENT to Change Lives NOW! She wrote the chapter on leadership coaching for the 90/90/90 School Improvement Notebook and co-authored The Blueprint for Educational Excellence, an objective assessment for school districts to clarify the gap between expectations and reality. Dr. Reeves has worked with education, business, nonprofit, and government organizations throughout the world. The author of more than 30 books and more than 100 articles on leadership and organizational effectiveness, he has twice been named to the Harvard University Distinguished Authors Series and was named the Brock International Laureate for his contributions to education. Dr. Reeves received both the Distinguished Service Award from the National Association of Secondary School Principals and the Parent's Choice Award for his writing for children and parents. His career of work in professional learning led to the Contribution to the Field Award from the National Staff Development Council. For his international work, Dr. Reeves was named the William Walker Scholar by the Australian Council of Educational Leaders. Dr. Scott’s career has focused on improving public education through innovative practices drawn from his wide- ranging experiences as a leading professional in business, education and healthcare. A former teacher, licensed psychologist, author, business leader and policy maker, Dr. Scott brings a unique combination of practical experiences and solid preparation to his leadership endeavors. Dr. Scott’s received a B.A. in International Government with an emphasis in Spanish language and culture from Harvard College. He is proficient in Spanish, and has made improving services to English Language Learners an important emphasis in his career. In college, he focused on the educational and political systems of Germany, Brazil and the Middle East. His next area of study was in theology and pastoral counseling at Gordon Theological Seminary and Harvard Divinity School. Transferring many of these courses into the doctoral degree in psychology from Harvard’s Graduate School of Education, he focused on community psychology and adolescent development. P. William Van Hickman, Ed.D. Dr. Philip Hickman is a national award winning transformational leader in K-12 education and educational technology. Dr. Hickman is an author who wrote “Stop Dribbling Footballs”. Dr. Hickman invented a new education instructional model the K-16 Instructional and Technology Integration Model (K-16 ITI Model) that is transforming teaching and personalizing learning within the classroom. Dr. Hickman’s obsession with personalized learning fuels his partnership with the United States Department of Education on the #GoOpen movement or Openly License Educational Recourses (OER). He is an AASA Nationally Certified Superintendent and continues to be a leading authority presenting at many of the top Ed Tech and Personalized Learning conferences in the nation. He is the Founder and CEO of MindAble Solutions LLC. an edtech firm specializing in innovative platform design, business consultation, and K-12 professional developemnt. Currently, Dr. Hickman is a superintendent in Columbus Mississippi. 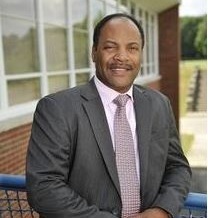 He previously served as assistant superintendent with Houston Independent School District; as assistant superintendent in Kansas City, Missouri; and principal/assistant principal/dean of students positions in Chicago area, Saint Louis MO, and Southern IL. Dr. Hickman has also completed consulting work with many different private/public/nonprofit organizations and a professor at multiple institutions of higher learning in Illinois, Texas, and at Capella University. Dr. Van Pelt has extensive experience as an Associate Superintendent of Educational Services and as a Superintendent working with central office staff and Boards of Education. He has led several initiatives that resulted in increased student achievement and helped narrow the achievement gap. These initiatives have been profiled at state and national conferences; in journal articles, and books. He has presented at state and national conferences on improving student achievement, including ASCD Annual Conferences, National School Boards Association Conference, and National Student Assessment Conference. Dr. Van Pelt has held school leadership positions in Iowa and Illinois and taught in Sydney Australia for the New South Wales Department of Education. He has provided professional development for teachers and administrators, including Data Teams/ Decision Making for Results, Leadership Performance Coaching, and monitoring curriculum and instruction through classroom walk through observations and follow up conversations. He has worked as a consultant with the Leadership and Learning Center in Implementation Audits in California and Delaware and as an auditor with Curriculum Management Systems, Inc. in curriculum management audits in Washington, Idaho, and South Carolina. Dr. Wasta has 39 years of experience in public education all in the Bristol CT public schools. He served as a regular classroom teacher, special education teacher, special education administrator, deputy superintendent, superintendent of schools. As deputy superintendent/superintendent he led the district through a multi- year comprehensive reform process that resulted in dramatic improvement in student performance. Michael was a consultant for the Leadership and Learning Center in Denver, CO for 8 years, making presentations nationwide and outside of the country on systemic reform, holistic accountability and data teams. As a consultant to the Connecticut State Department of Education for five years he lead in the design and implementation of the Connecticut Accountability for Learning Initiative, a statewide systemic reform program designed to improve student performance in the state’s lowest performing districts. This program, modeled after the Bristol process, produced documented results indicating that the performance gap between urban districts and suburban districts began to close.